The Ancient Greeks were very religious people, and worshiped their Greek God's and Greek Goddesses faithlessly. Interestingly the Ancient Greeks believed that their Gods and Goddesses had human qualities alongside magical capabilities. In Greek mythology there were 12 Gods who lived on Mt. Olympus, which is the highest mountain in Greece. 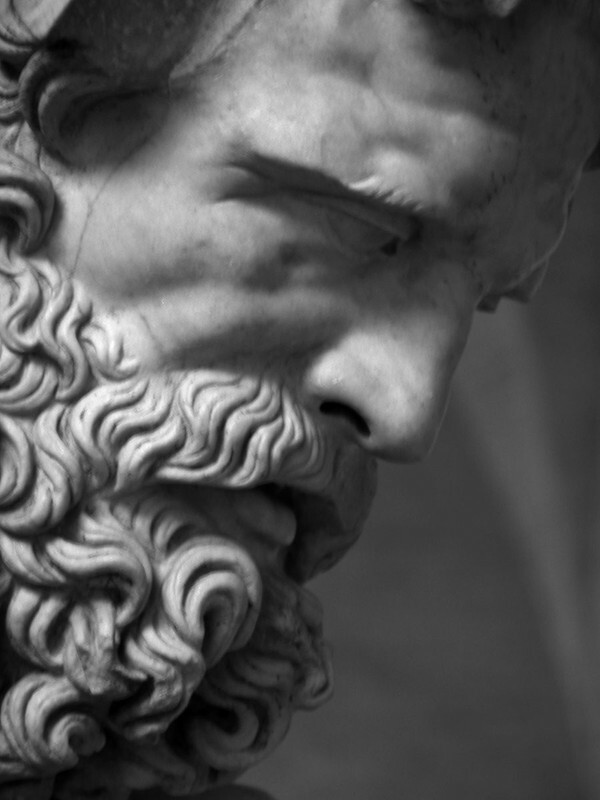 This page is packed full of interesting facts about the Ancient Greek Gods, Enjoy! Zeus was the king of the Greek gods. He was married to the Greek Goddess Hera, however had affairs with 8 other Greek Goddesses. Alongside ruling the god empire Zeus was the god of the sky, the god of hospitality and famously used thunderbolts in combat. In Greek mythology and religion Eros was the God of love. He is more commonly know by his Roman name of Cupid. The Greek myth says that he could infect anyone with love if they were stabbed by one of his arrows. Dionysus was the God of grapes and wine. Records of him found on old Mycenaean Greek scripts show us that he was worshipped from 1500 - 1100 BC. He was one of the most jolly Greek Gods however could be wild if opposed. He had many followers who were called Bacchantes who were keen wine drinkers. Dionysus and Demeter were both called the Gods of harvest. Hades was the God of the underworld. Hades had two brothers Zeus and Poseidon and the three of them defeated the Titans, it was this victory that crowned him king of the underworld. Not surprisingly Hades character was fairly depressing despite being very wealthy. Poseidon is one of the most famous Greek Gods, and was god of the sea. He was bad tempered and was known to trigger earthquakes and storms when he was angry. Apollo was the Greek God of light, the sun, music, truth and prophecy, healing. Despite his calm temper and healing nature Apollo had a dark side, where he could bring illness and plague to those that crossed him. Apollo famously drove the sun's chariot across the sky with Helios. Uranus was the first Greek God of the sky. Uranus was the son and husband of Gaea. According to some Greek myths Gaea conceived Uranus without a father, yet some records indicate that Aether was his father. Once Uranus was born Gaea chose to marry him bringing together the earth and the sky. 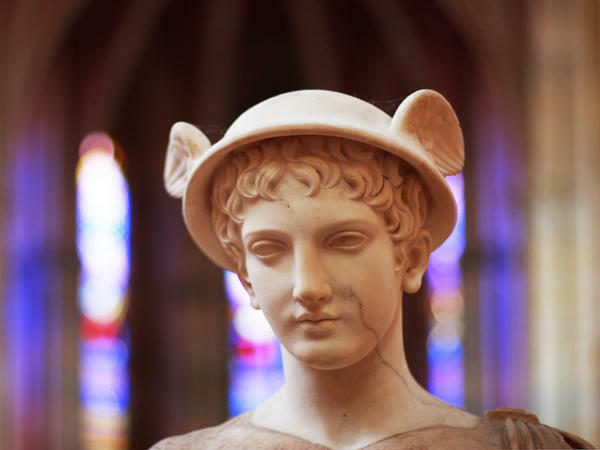 Hermes was known as the messenger of the Greek Gods. Alongside being a messenger he was the god of travellers, shepherds and merchants. Hermes is famously responsible for passing the dead to Hades in the underworld. Cronus was the king of all the Greek Gods until Zeus took his place. Greek myths indicate that he had an evil side, one myth is that he swallowed all five of his children. He swallowed his children because he feared that they may plan to kill him to get the thrown, ironically he de-throwned his father by killing him! Hephaestus was the Greek God of blacksmiths, craftsmen, sculptors, and fire. Hephaestus was the son of Zeus and Hera.